UPDATE: Lance Armstrong has formally severed his ties with Livestrong, the cancer charity he founded. Story. (Nov. 2): The World Anti-Doping Agency announced Friday that it would not appeal the decision by the U.S. Anti-Doping Agency (USADA) in its case against Lance Armstrong. Story. Lance Armstrong has been officially stripped of his seven Tour de France titles and banned for life after the International Cycling Union (UCI) ratified the United States Anti-Doping Agency’s (USADA) sanctions against the American, Reuters reports. “Lance Armstrong has no place in cycling. 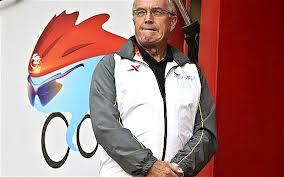 Lance Armstrong deserves to be forgotten in cycling,” UCI president Pat McQuaid told a news conference. Read the article to find out how the USADA and Armstrong responded, as well as who might receive the Tour de France titles won by Armstrong. More. On Oct. 23, former Armstrong teammate Steffen Kjaergaard, who rode on the U.S. Postal Service team in the Tour de France in 2000 and 2001, admitted to doping and was placed on leave as Norway’s cycling federation sports director. Read more. The UCI decision is the latest development in the Armstrong investigation that exploded on Oct. 10 when USADA released all of its evidence against Armstrong, more than 1,000 pages and sworn testimony from 26 people, about the cyclist’s doping activities while racing with the U.S. Postal Service Cycling team. A 200-page document was made public. Read the document. Over the course of the following week the fallout continued as Nike ended its contract with Armstrong and a number of other sponsors, including Radio Shack, Trek, Oakley and Anheuser-Busch, followed suit. In addition, Armstrong stepped down as Chairman at Livestrong, his cancer-fighting charity. Read more. The allegations will seem familiar to anyone who has seen recent interviews with Tyler Hamilton or read his book The Secret Race about his life in bike racing before and after he tested positive in 2004 for having someone else’s blood in his system. Among many other things, the book undercuts the argument that, just because someone has passed a drug test, he or she is clean. Read an Outside Magazine Q&A with Tyler Hamilton. WATCH ONLINE: Catch a live stream of every stage on Shack Tracker. The quality is good and standings are updated dynamically on the page. Watch here starting at 2 p.m. Mountain time to see Friday’s Stage 4 ride from Avon to Steamboat Springs. Vail — The second time trial in the USA Pro Cycling Challenge was the reverse of the downhill Prologue, going up Vail Pass. It also reversed the overall standings at the top once again in this highly-competitive race as Levi Leipheimer set a course record to take back the yellow jersey. There was one definite similarity to the prologue: an early rider, in this case David Zabriskie of Garmin-Cervelo, put up a time (24:46) that was hard to match, though veteran Jens Voit did come within 3 seconds. Then all bets were off when Colombian rider Rafael Infantio blew away the field with a ride of 25:51. Young Tejay Van Garderen, the overall leader at day’s start, lost almost 52 seconds to Leipheimer and is now third, 17 seconds back. George Hincapie, winner of Wednesday’s Queen Stage and second overall at day’s start, turned in a respectable time and still stands fifth, just 53 seconds back. Pre-race favorite Tom Danielson was third at day’s start and finished the day fourth, 24 seconds back. Frank Schleck who started the day in 12th, had a strong ride of 27:22. And brother Andy Schleck, who had little to race for, still turned in a good ride, just 2:07 off the day’s fastet time. 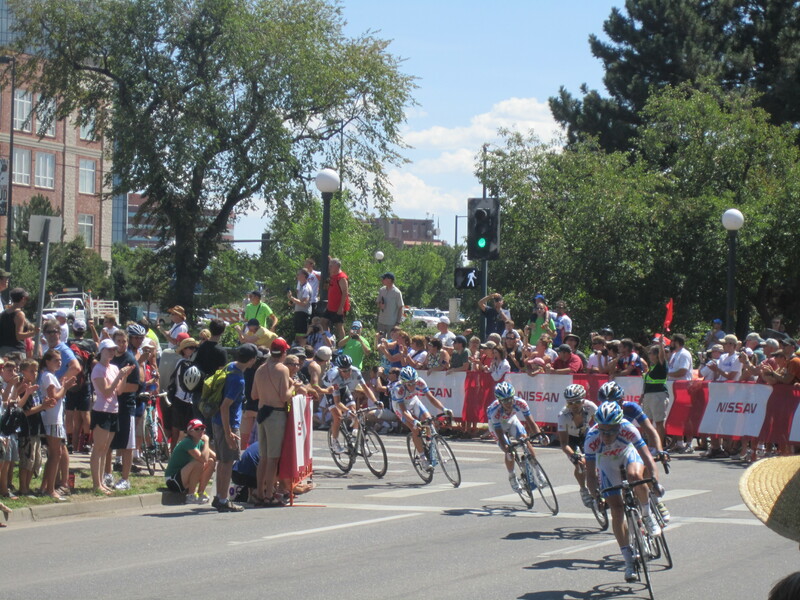 And now it’s off to Avon on Thursday for Stage 4, an 82.8 mile stage race to Steamboat Springs.